Cape Town – The Independent Regulatory Board for Auditors admitted to Parliament on Wednesday that it has resource constraints, with only five investigators taking on 150 cases to probe conduct in the auditing profession. Speaking to the standing committee on finance on Wednesday, IRBA said resource and personnel constraints forced the regulatory body to prioritise high profile cases, including audit practices of firms like KPMG, Nkonki Inc and Deloitte. Over the weekend, IRBA announced that it would be reviewing KPMG’s turnaround strategy after its conduct in matters including the South African Revenue Service 'rogue unit' saga and its handling of companies implicated in the state capture project. 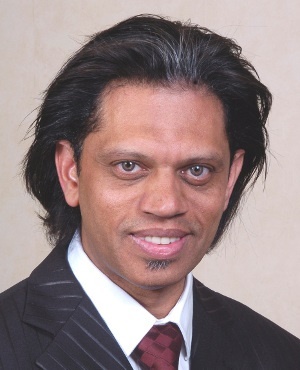 IRBA CEO Bernard Agulhas said the majority of cases it is still processing suffer because there aren't enough investigators. He said IRBA has spoken to Parliament and National Treasury about accessing more resources to build investigative capacity. “We do not have capacity. We do not have funding. We have 150 open investigations, not all of them are profile. We only have five investigators and no funding to appoint more. We have had to reprioritise and reallocate resources and focus on high profile cases,” said Agulhas. Agulhas said Minister of Finance Nhlanhla Nene asked IRBA to look at strengthening regulation and legislation for the auditing profession. He said IRBA hopes to conclude adjustments legislation once National Treasury approves its submissions. “It is a challenge for the IRBA to manage these priorities with limited finding. Parliament has committed to giving us additional funding but at this stage it is critical to increase our capacity. We are keeping our fingers crossed not to come to Parliament and say we failed for lack of resources,” he said. IRBA board chair Abel Dlamini said the regulator needs to do more to improve risk management in the auditing profession. The longer intervention and investigations are delayed, the more the reputation of the profession suffers, he warned. “We are disappointed and dismayed at the latest developments in our profession. It is a trusted and respected profession and to see trust in it eroded by a few is not easy. However, we are committed to restore confidence,” said Dlamini. Regarding IRBA’s investigation of KPMG’s role in the matter of Linkway Trading and the Vrede dairy farm report, Agulhas said: “We have a hearing for July this year. The charge sheets have been conferred and we have pushed hard to get to this point. “On SARS' 'rogue unit' investigation, we have trouble getting information from auditors and we managed to obtain files by March. Investigations are under way and we understand the urgency as we continue with the probe,” he said. Agulhas said the investigation of Deloitte’s role in the Steinhoff saga is expected to demand a great deal of time and resources from IRBA. “On the Steinhoff investigation, we opened a case in September. We sent a letter and are expecting it to be one of the most complex investigations we have ever undertaken, given the size of the business and the statements,” he said. Dlamini said while the auditing profession in South Africa remains widely respected, the developments at Nkonki Inc are disappointing as they undermine the standing of auditors as well as those who regulate them. “We are disappointed that the Nkonki Inc situation happened as it was one individual who caused the problem that compromised a business and cast doubt on the whole profession. "We have sent two letters to the auditors of VBS Mutual Bank. Those matters are under investigation,” he said.